Sep 23-25, 2019 at Convitto della Calza in Florence, Italy. Attracting a high-level audience of researchers, the conference will provide a stimulating platform to discuss with academic experts and scientists from biotech and pharmaceutical industries. 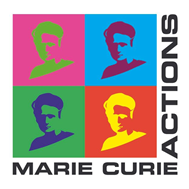 Topics include innovative screens on protein-protein interactions, novel targets and target validation, structure-based drug discovery, computational approaches and more. 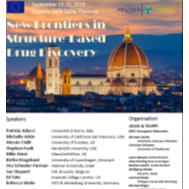 The conference will provide a valuable platform to discuss the challenges and opportunities of modern drug discovery in academia and industry. The first RNAct meeting was held in Brussels. Tommaso Martelli and Marco Fragai, as Giotto Biotech reference people for the network, met with the other partners to start the project (Vrije Universiteit Brussel, Centre National de la Recherche Scientifique, Helmholtz Zentrum Muenchen, Consejo Superior de Investigaciones Cientificas, Dynamic Biosensors GmbH, Ridgeview Instruments AB). If you want to participate in our RNAct training network, you can apply for one of the open positions until March 15, 2019. Giotto Biotech will start a new H2020-MSCA-ITN-2018 project on the 1st of January 2019. This new project will involve a large group of researchers from CNRS (FR), HMGU (DE), CSIC (SP), Dynamic Biosensors GMBH and Ridgeview Instruments AB (SE), UAB “Spronk NMR Consultancy” (LT), Universite de Liege (BE), Universite de Lorraine (FR), Uppsala Universitet (SE), Università degli Studi di Firenze (IT), Universitat Politecnica de Valencia (ES), Technische Universitaet Muenchen (DE). RNAct will create an integrated and multidisciplinary training and research programme for 10 broadly employable ESRs with versatile computational and experimental skills. 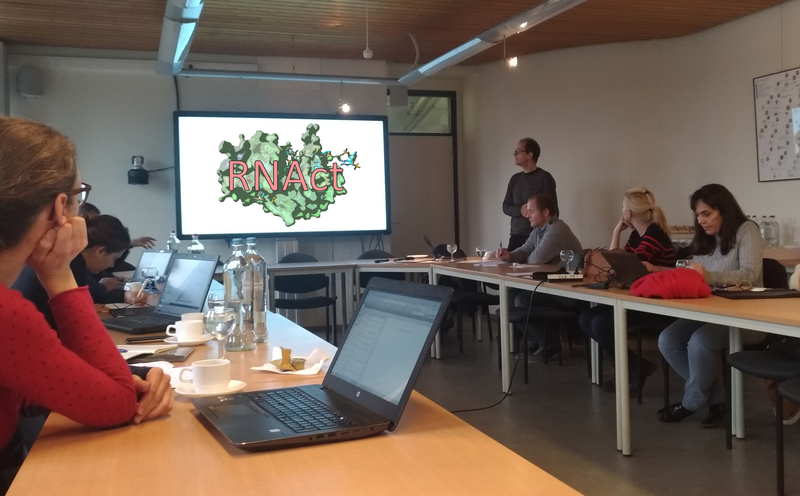 The RNAct research aim is the design of novel RNA recognition motif (RRM) proteins for exploitation in synthetic biology and bio-analytics. This is achieved through a design cycle that starts with computational approaches at the sequence and structure levels of proteins and RNA, in order to select amino acid positions and mutations for large-scale phage display experiments with RNA screening. Viable RRMs will be further investigated at the atomic level with integrative structural biology approaches, and will be applied in synthetic biology, to posttranscriptionally regulate fatty acid processing via RRMs, and in bio-analytics, to detect RNA in-cell and design RNA biochips. From the 26th to the 30th of November will take place the 5th AEGIS Training school in Paris. Hosted by the Institut Pasteur, this school will bring together the 15 PhD students of the AEGIS pogram as well as academic and industrial partners.